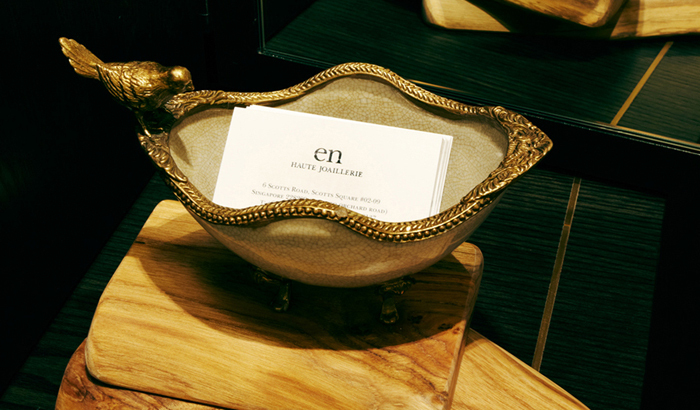 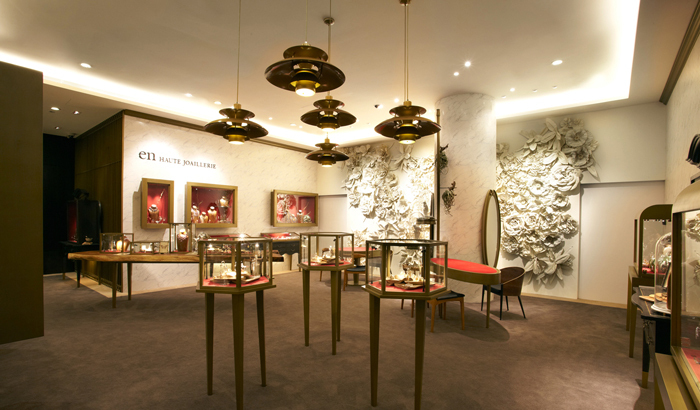 Transforming a Chinese word into a jewellery brand with international appeal. 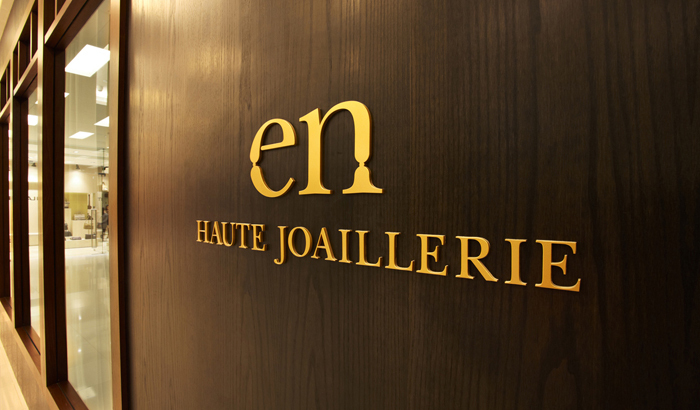 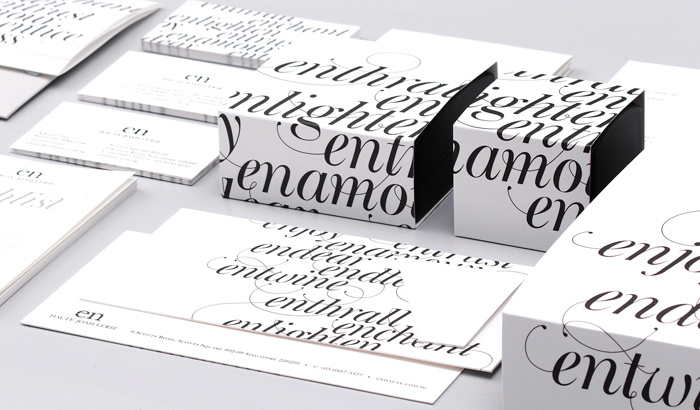 En Haute Joaillerie’s new identity takes on an expressive yet classic visualization of the qualities that a gift can bring, with explorations of the brand name ‘En’, meaning ‘gratitude’ in Chinese. 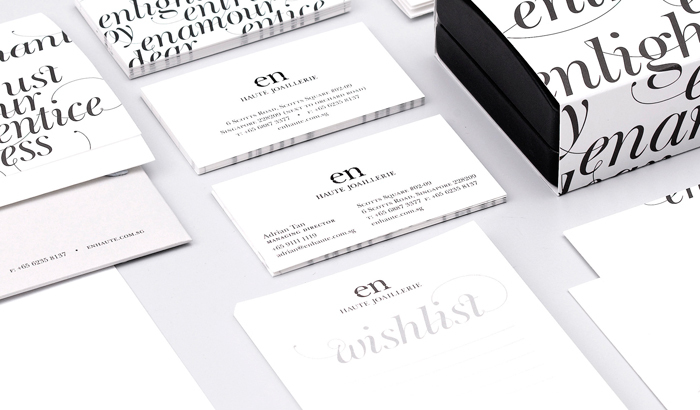 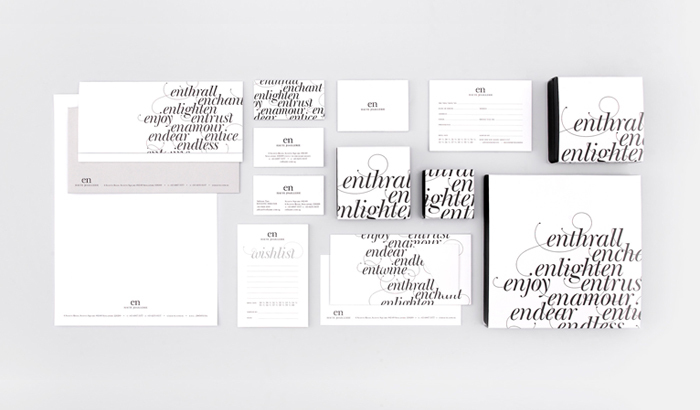 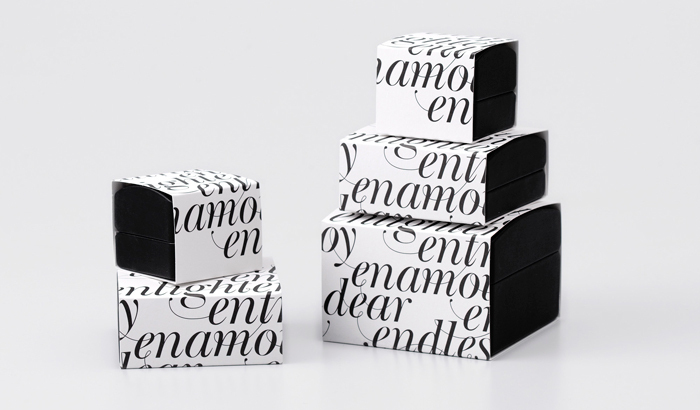 Words with the ‘en’ prefix adorn various packaging with a monochromatic cursive, lace-like typography. 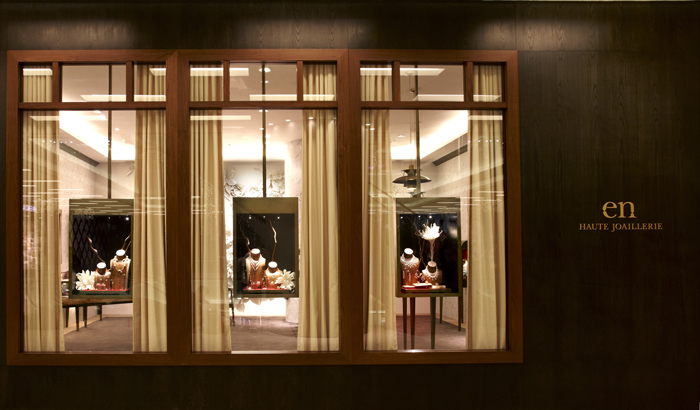 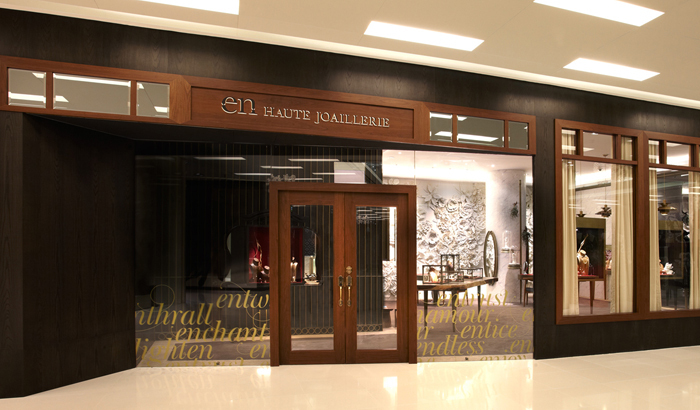 The luxury boutique, conceptualized as ‘a walk through enchantment’, unfolds upon entering the tilted entrance doors, heightening the illusion of an enchanted world beyond the bronzed gates. 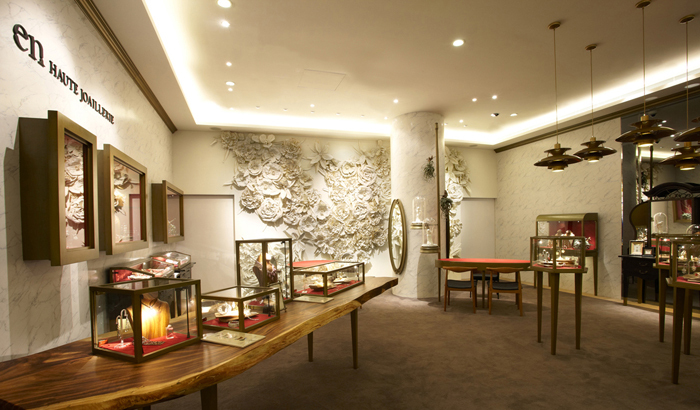 A customized timber log table with embedded showcases resembles a fallen tree in the heart of the space, while a feature wall of handmade white flowers adds texture to the boutique.